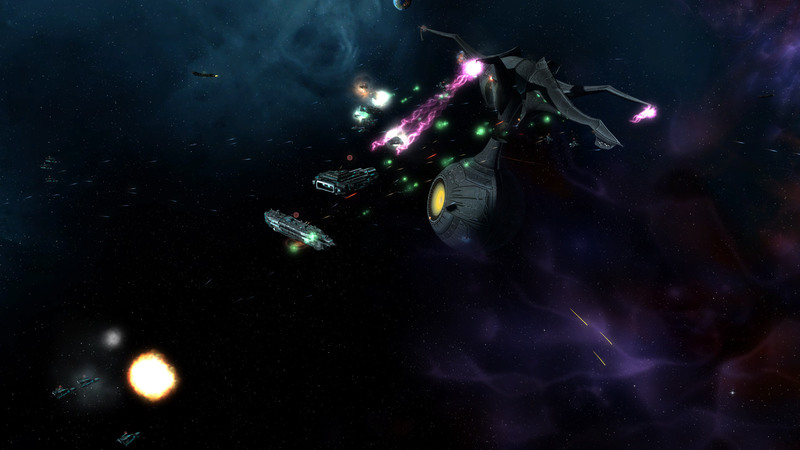 Recently, Ironclad Games and Stardock released version 1.9 of Sins of a Solar Empire: Rebellion to players, marking the 5-year anniversary of the latest expansion. I've had the pleasure of working on Sins of a Solar Empire since we released the original title in 2008, and it's been great to see fans continue to play both the base game and the many mods that have been created for it. If you're new to the series, or looking to join in the fun, what is Sins of a Solar Empire all about? For this journal, I'm going to focus on my favorite race: the Vasari Empire. For a more complete history of the Vasari, check the the Lore section. As a Vasari player, you have a few key strategic advantages and disadvantages to work with in building your empire. For instance, you can field fewer ships, but they're a bit more powerfully than those of the other two races (TEC and Advent). The Vasari aren't very good traders, but they excel at collecting metal and crystal resources. Lastly, the Vasari are masters of phase space travel, which gives them the ability to move around the map practically at will late in the game. In my game, I've started on the planet Peraga and 'liberated' the dwarf planet of Penza nearby. My scouts have detected two rival empires on my borders: the Trade Coalition and the Galian Rim Union. Both are TEC players attempting to encroach upon my space, but I've been careful to deploy defenses against them... or, so I thought. Here's a great lesson to take from this diary: always scout ahead. I'll admit that I got arrogant because I thought the AI wasn't ready to deal with my fleet, so I decided to go on offense without looking. Having setup a forward base at the planet Charybdis, I made the decision to push on toward the Galian-held ice world of Sethos. Huge mistake. I ran right into a heavily upgraded TEC Argonov starbase and the Galian's new Ragnarov titan. Turning tail to retreat, my fleet was all but annihilated; I nearly lost both of my capital ships, escaping with only 117 HP on one as it managed to enter phase jump with seconds to spare. Licking my wounds with only a few ships left, I look up to see the Trade Coalition attacking from my flank! Penza is now under assault from a modest enemy force, but it's not heavily defended. Until I can marshal reinforcements from Charybdis, only the starbase Oraskal is available to keep Penza under my rightful authority. Luckily for me, Vasari starbases can move! Another good lesson here is this: everything has a weakness and nothing is invulnerable (at least, not permanently). Vasari starbases are monsters; they have lots of firepower, lots of armor, and can even be upgraded to regenerate. Plus, I mentioned they're mobile, right? All for naught against an enemy with the right counterforce. The Trade Coalition came prepared for my starbase with Ogrov torpedo cruisers. Equipped with high-yield warheads, the Oraskal fought well but didn't stand a chance. I couldn't help but cringe as I watched it explode into a million tiny fragments. Things look grim for the Vasari at this point, but I did manage to rally a new fleet to save Penza. Unfortunately, Charybdis did not fare as well - the Galian Rim Union opted to take their new titan for a test drive and sacked my world. I'll recover though! 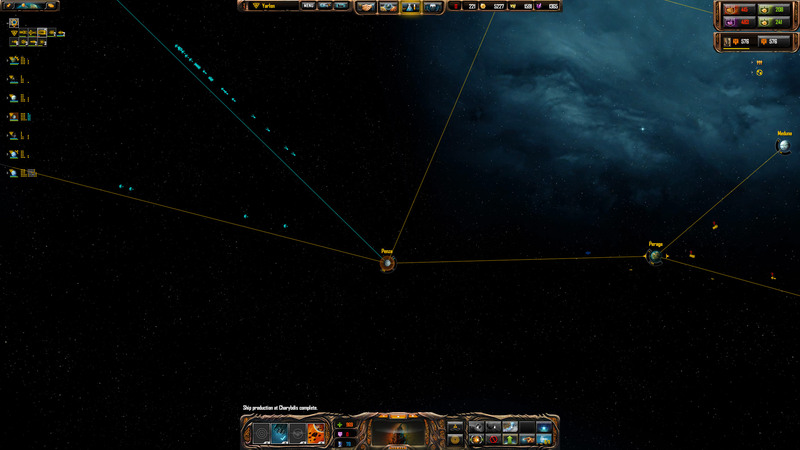 The above gameplay represents only about 45 minutes of playtime in my current game of Sins of a Solar Empire: Rebellion. Countless worlds await to conquer, subjugate or destroy as you forge your own empire amongst the stars. Join the hunt today! Thanks! Sins of a Solar Empire is great! 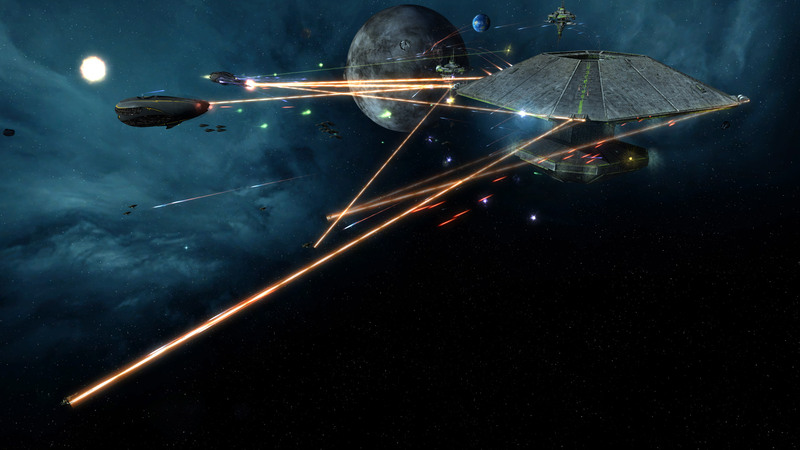 Now give us Sins of a Solar Empire 2!!!! Wonderful Lore story Yarlen, and many thanks for reminding us newbies to begin playing as the Vasari Race. Happy Holidays!